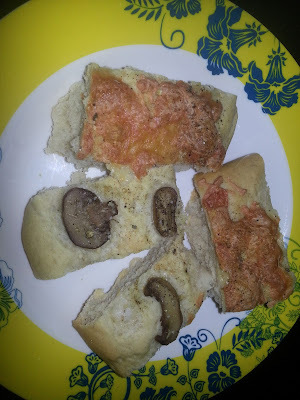 Focaccia is an Italian flat bread and is very similar to a pizza. The bread can be made thin and crisp or thick and chewy. I tried both. You can add any topping of your choice and season as desired. It is very easy to prepare and tastes good. 1. 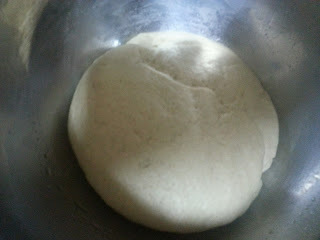 In a mixing bowl add the flour, yeast, salt and sugar and mix well. 2. 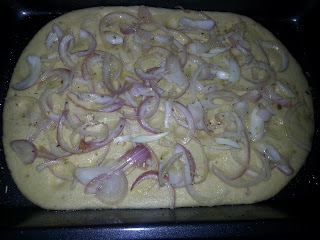 Add 1 1/2 tablespoon Olive oil and mix well. 3. 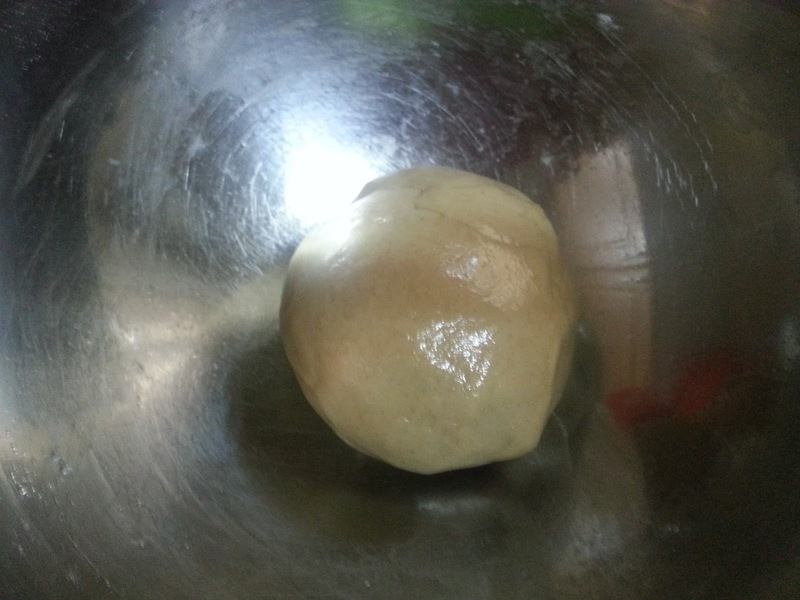 Add warm water little by little and start kneading to form a soft dough. Knead for 8-10 minutes. 4. 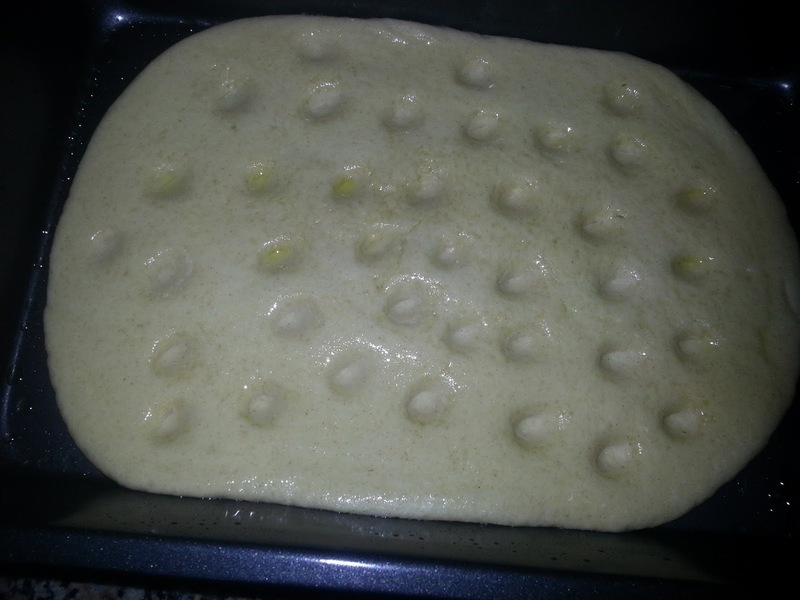 Apply olive oil all over the dough, place it in the mixing bowl, cover with cling wrap and keep it aside to rise for an hour. 5. Once the dough rises, punch down the air and knead it again for 2-3 minutes. 6. 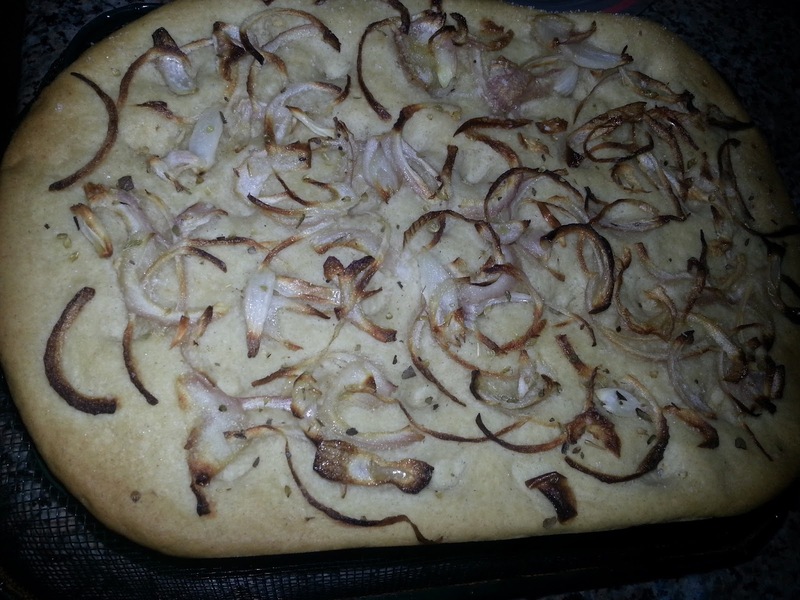 Grease the baking tray with olive oil. 7. Roll the dough using a rolling pin and place it on the greased tray or spread the dough directly on the greased tray using your hands. 8. Using your fingertips dig holes all over the top surface on the dough. 9. Apply olive oil generously all over the top surface. 10. 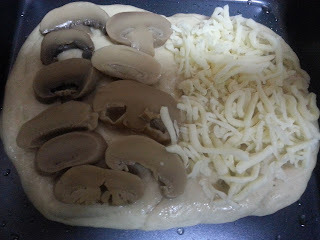 Add the desired toppings. I used sliced red onions with olive oil, mushrooms with Parmesan cheese and shredded mozzarella cheese. 11. Cover with cling wrap and leave it to rise again for 30 minutes. 12. 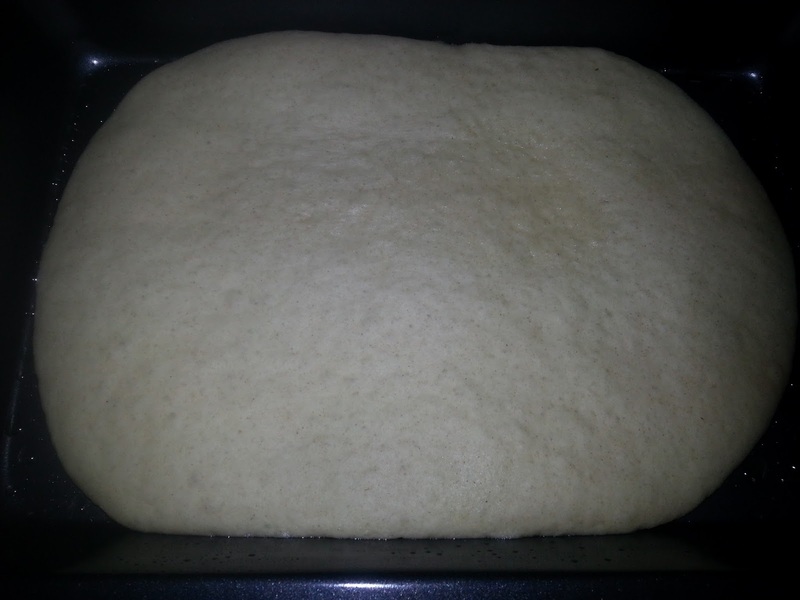 Preheat oven to 200C. 14. Sprinkle seasoning of choice. 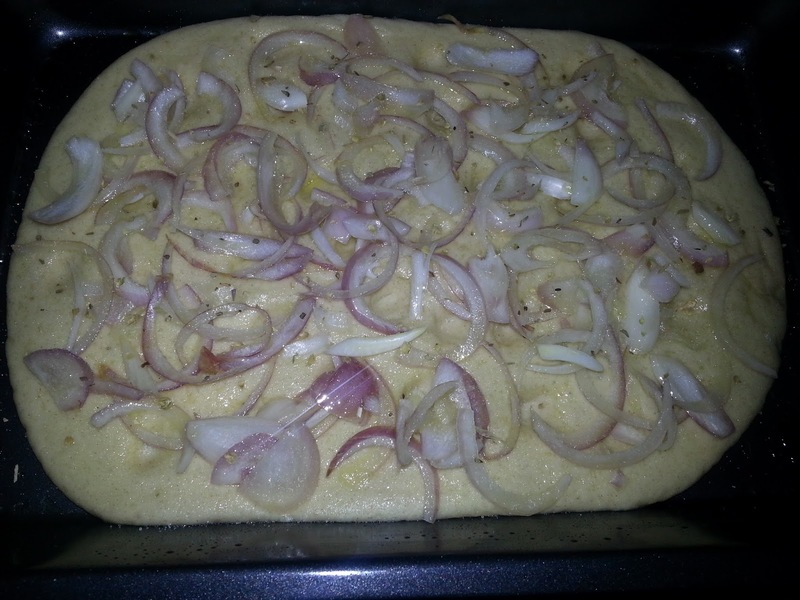 I sprinkled some salt, black pepper and oregano. 15. Bake for 15-20 minutes or till golden and done. 16. Place immediately on a cooling rack. 17. 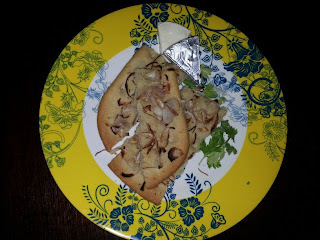 Cut into slices or any shape once cooled.